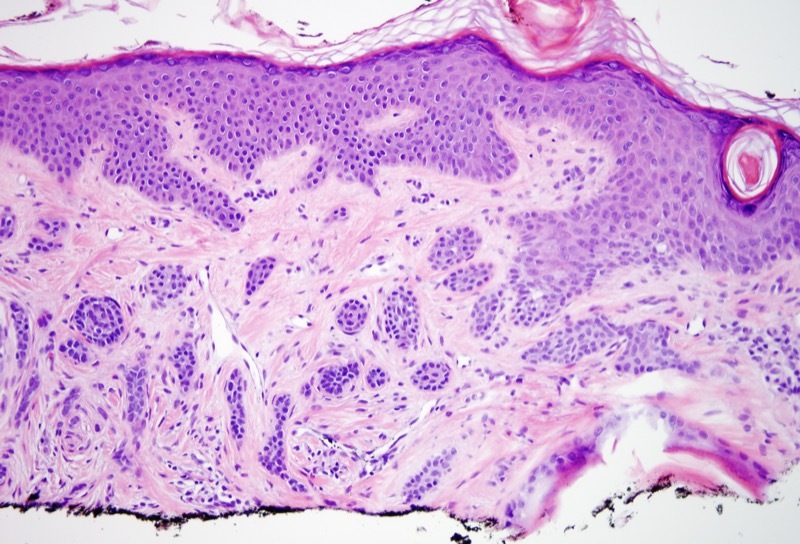 Desmoplastic trichoepithelioma is typically small and slowly growing. 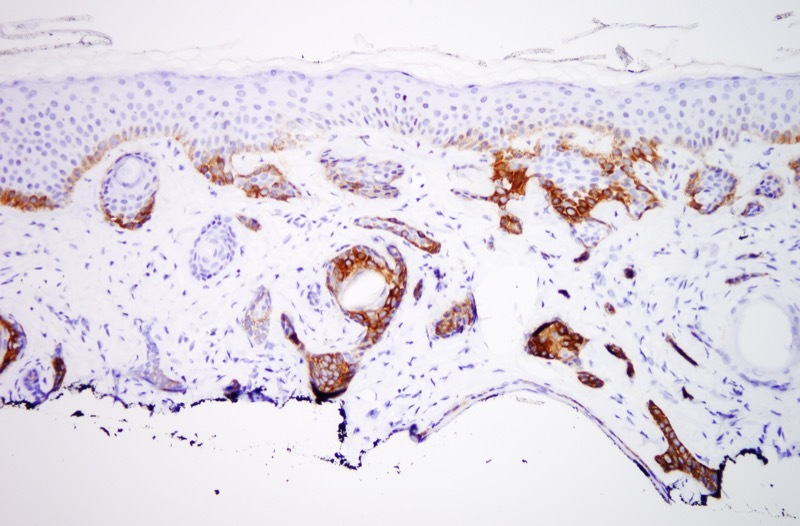 In addition to the microscopic features already described, these tumors can exhibit foci of calcification and a foreign body type giant cell reaction to keratin. 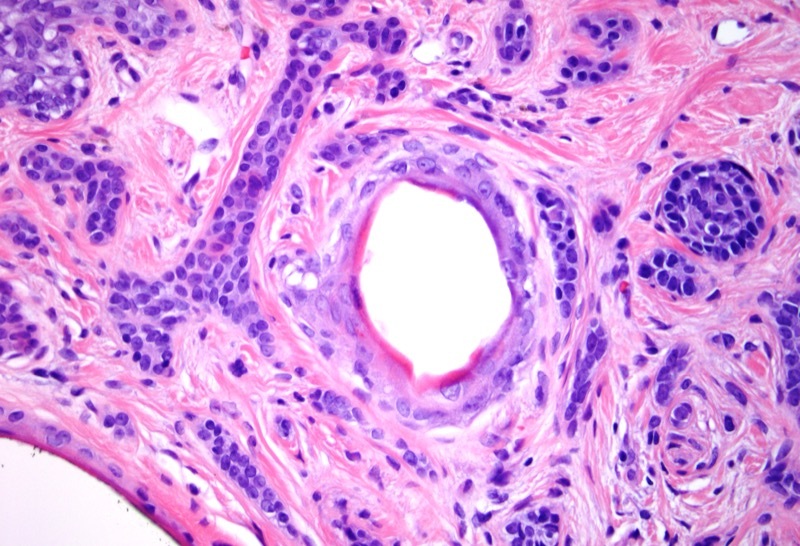 It is important to distinguish this entity from basal cell carcinoma, morpheaform type and microcystic adnexal carcinoma.